Enthusiastic Customers, We love them! We are extremely proud of all of our Absolutely Natural products and put great effort into making them the best lotions, crèmes, oils, butters and personal care in the world. It is challenging making all natural products and even more challenging trying to put into words how special our products are. Sometimes our customers say it best! We received this recently from Saarah regarding our Marlee and Noah products. I met you at the ABC Expo and am on the spokesmoms team. I acquired some of your products to try for myself, as well as for my niece with eczema. Please feel free to use my comments in any testimonials you may need. Additionally, I am starting a blog called All Around Beauty Blog. It should be up and running near the end of December, and I am definitely going to be putting my reviews/comments about your products on there as well. I tried the lavender vanilla lotion for mommy, the foot lotion, the body butter, mineral bath sea salts and the washies. The items for my niece were the vanilla pineapple shampoo, body wash and lotion. Body Lotion/Butter: The body lotion feels like silk on my skin. I absolutely LOVE LOVE it, and my skin thanks me everyday that I use it. Especially through these colder months, I find that I only have to apply the lotion on in the morning. The natural ingredients in the product make me feel better, as I know I'm not absorbing those toxic chemicals into my body!!! And let’s not forget to mention how GOOD it smells!! I will go in the bathroom and pump some of the lotion on my hands just to smell the essence of it. This smell would be SO perfect as an essence oil that you can burn to permeate the room. Foot Lotion: I keep this lotion on my nightstand and put this on every night before I go to bed. It makes my feet so soft, and help to keep my feet soft. Sometimes I put on socks afterwards, and other times I don't. The peppermint in this lotion is mild, to where it doesn't sting and hurt like some peppermint lotions do, nor is it too mild that I don't feel the effects of the peppermint in it. This foot lotion also smells really good!! Again, this makes me feel better I am putting natural products on my skin. Washies: These washies are amazing! I love putting my face wash into them and using them as a mild exfoliate! My face feels smooth after I've used them. 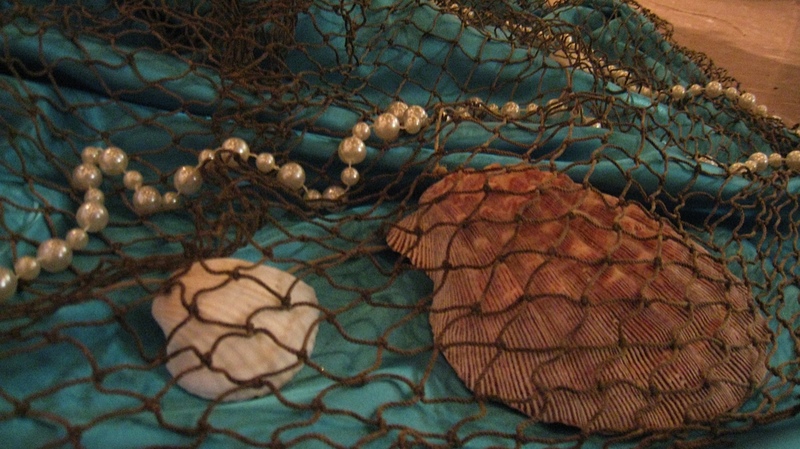 They dry rather quickly and are very easy to clean. Can I just say that these natural products have helped to clear away some of the eczema on her skin. My sister-in-law (and me) already saw a difference within a matter of 4/5 days to her skin. The only thing left are her thumb areas where she continues to pick at the scabs....but these lotions are so gentle that they don't aggravate her condition. My sister-in-law puts the lotion in a cabinet near all my nieces’ bath items, and squirts a little into her hand as she ALSO loves the smell!! All in all, your combination of essential fragrances is simply amazing. I don't wear perfume at all (partly because of the alcohol in it) but mostly because I have yet to find a scent I love. I LOVE all the scents of everything I have used from Marlee & Noah. Thank you Saarah for the time and effort you took in writing to us. 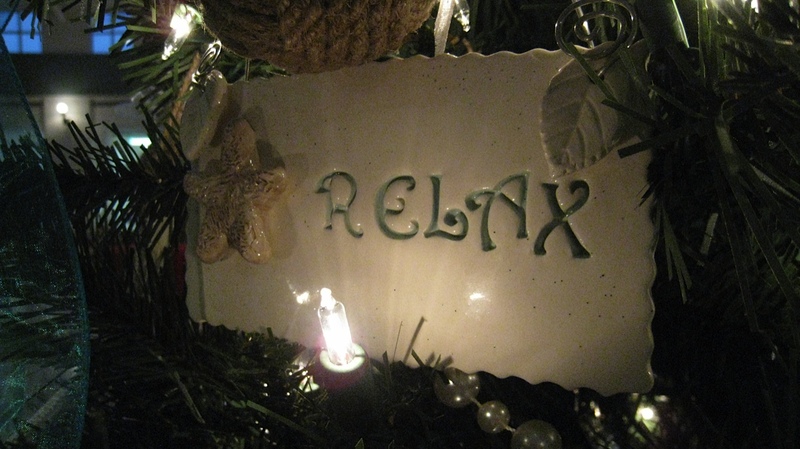 It is our loyal and enthusiastic customers who make it all worthwhile. 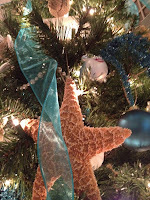 As promised, I have uploaded photos of Absolutely Natural's "Absolutely Beachy" tree. 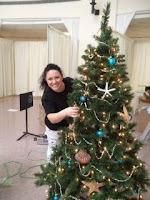 We had such a great time decorating our tree and of course wanted to share some photos. It took us several weeks to gather all of the ornaments and decorations for our tree and I would have to say we did well! Jessica and I are incredibly proud of our tree. Although our tree was on the small side, it had plenty of charm and a lot of HEART! 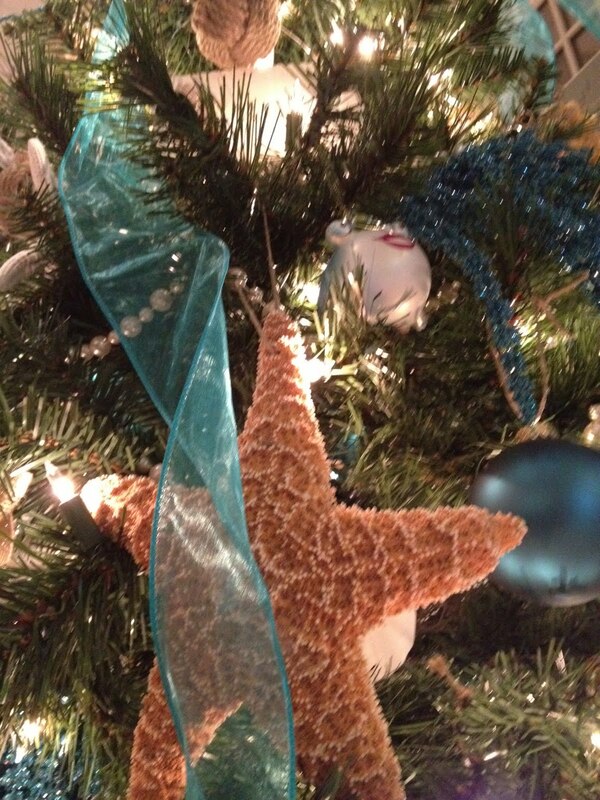 It was everything from sparkle & glam to real starfish & sand dollars. 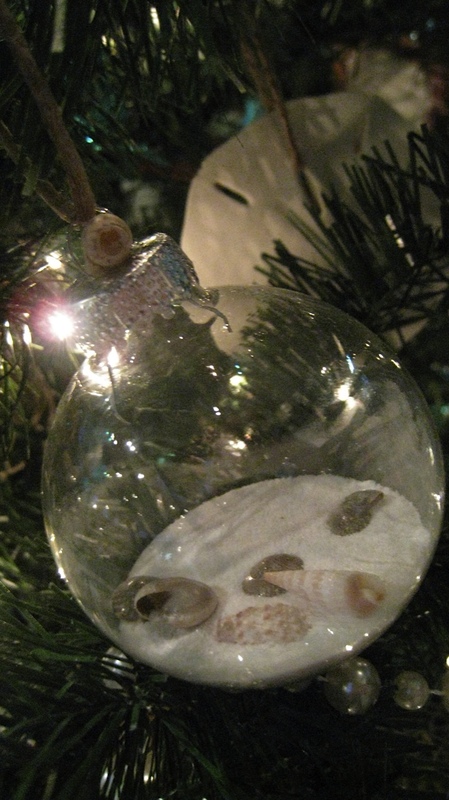 We even found floral decor to imitate seaweed! 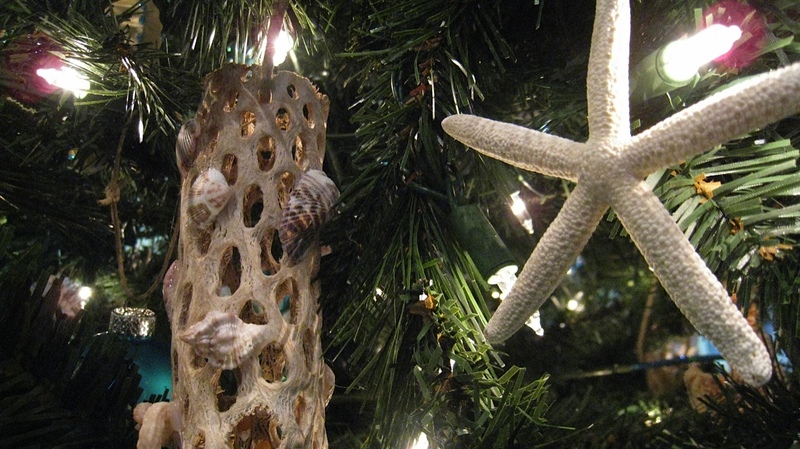 The final bid for "Absolutely Beachy" was $510 and our tree was one of the most bid-on trees! Very exciting! 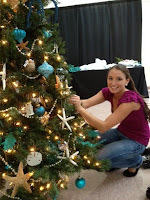 The Festival of Trees is one of Junior League of South Brevard, Inc.'s (JLSB) biggest events, and all proceeds are donated to JLSB's partners. JLSB donated $20,000 to Community of Hope during this year’s event. Community of Hope serves homeless families with children by providing transitional housing in an effort to move families from homelessness to self sufficiency. In addition to the $20,000 donation, JLSB has helped build the Hoag Avenue Duplex. This property features 3 bedroom housing so larger families can live comfortably. In addition to money, JLSB also donated their time. They helped with the construction of the entire house, including building the roof, running electrical wires, installing bathroom showers and cleaning up around the work site. In the past three years, JLSB has given $60,000 to the Community of Hope organization. The giving doesn't stop there, throughout 2010 & 2011, JLSB has donated 20 $100 Walmart gift cards to Connected by 25 Brevard. The gift cards support young adults moving out of their foster homes into independent living for the first time. JLSB also hosted a sibling reunion event for foster children at the Brevard Zoo in April. Siblings were reunited from all over the county and enjoyed a family fun-filled day with food, prizes, and of course lots of animals. As you can see, the Festival of Trees is more than fabulous trees, it's about giving back to our community and enjoying the holiday season. 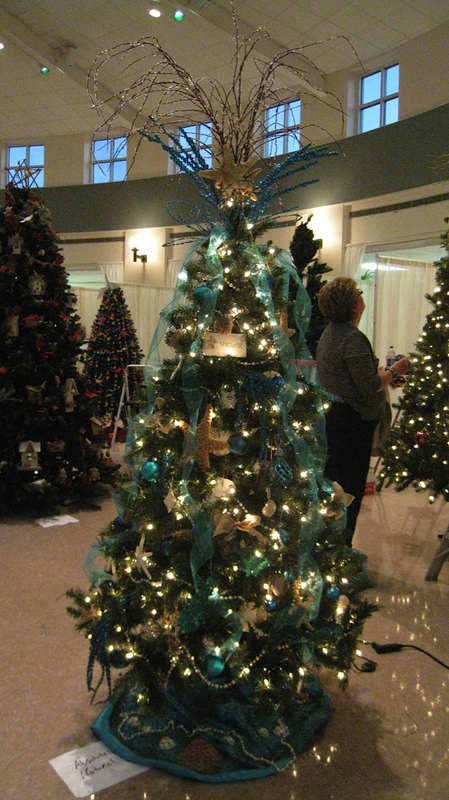 Absolutely Natural was so proud to be a part of this year's Festival of Trees. And, we are thrilled to be a supporter of Brevard County! We cannot thank JLSB enough for having us at this year’s event and for bringing such joy to so many lives in Brevard County!